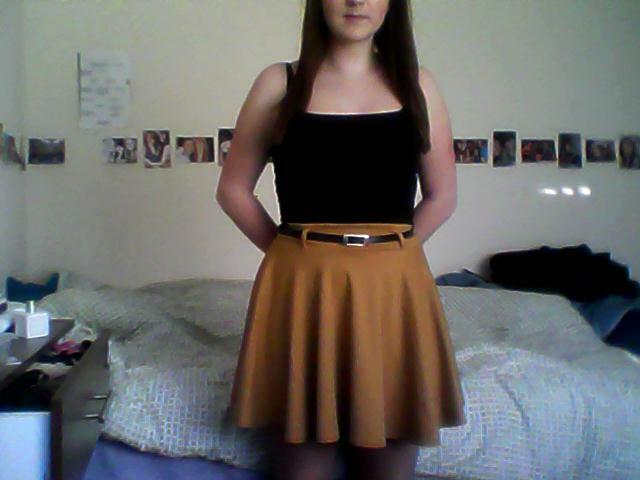 But I would like to share with you a skirt that I have recently bought on eBay for around £4. 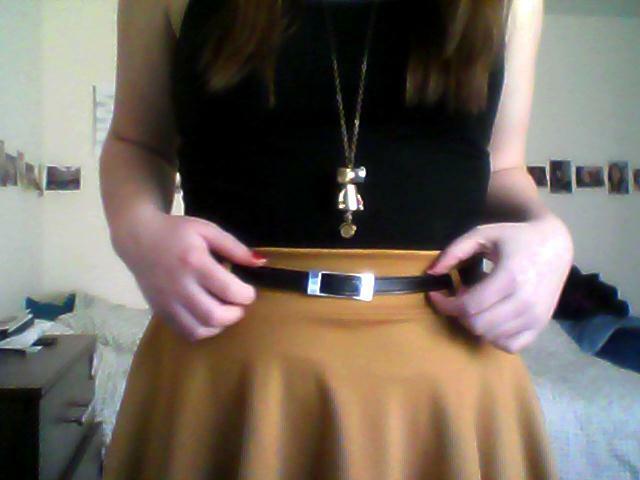 It is Mustard yellow and in skater-style which is very in right now. 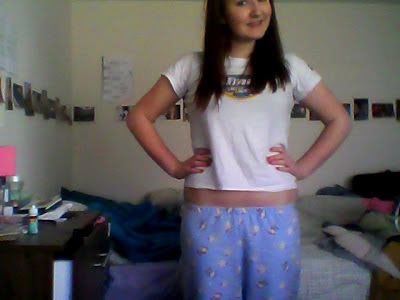 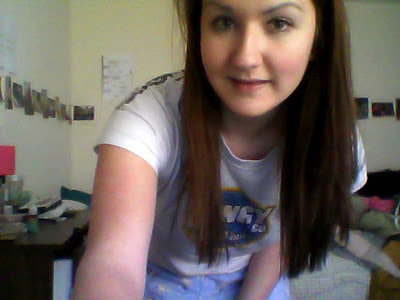 Unfortunately they're still webcam bedroom photo's because I'm too wimpy to get someone to take photos of me, ha. 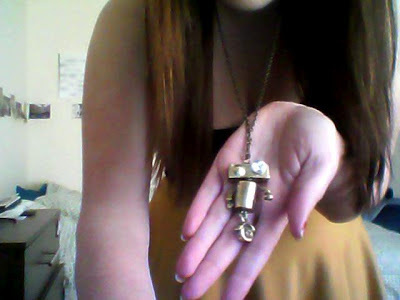 I'd also like to introduce you to Adam, he is my new robot necklace from Etsy, featured in this post. I did get the owl ring from that post too - but it's broken at the moment, look out for it in the future! I have a couple of other outfits I'd like to share with you so keep your eyes peeled! I had half a day at work today as I had to meet with my tutor RE my dissertation - oh how he loves to give me more work. How have your days gone? 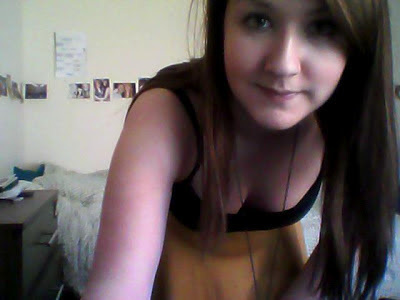 Anything interesting happen?